We present below Francesca Romana's translation of the interview granted by the late Mario Palmaro to the weekly newsmagazine of the Dehonians in Italy, Settimana. In it, he deals with the Society of Saint Pius X and the "missed opportunity", Pope Francis, criticism of Popes in general (when, how, and why a Pope can or even must be criticized), why many traditional Catholics behave in a certain way, the persecution of the Franciscans of the Immaculate, and he also speaks about his approaching death. Professsor Palmaro, you (and the ecclesial world you in some way interpret) rightly supported Pope Benedict’s attempt to bring into [full] communion the “schismatic” Lefebvrian movement. But in July 2012 when their General Chapter refused the invitation from the Holy See, what was your view on the matter? What do you think now of that attitude? Even though I have never been part of the Priestly Fraternity of St. Pius (FSSPX) founded by Monsignor Marcel Lefebvre, I had the fortune of getting to know them firsthand a few years ago. Together with the journalist Alessandro Gnocchi, we decided to go and see this world with our own eyes, and to describe it in two books and some articles. I must say that many prejudices that I had held turned out to be unfounded; I met very good priests, nuns and brothers dedicated to a serious experience of Catholic life, graced with openness and cordiality. I was struck very favorably by the figure of Bishop Bernard Fellay, the Bishop who leads the FSSPX - a good man of great faith. 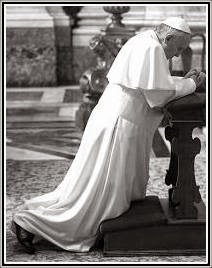 We discovered a world of lay faithful and priests who pray every day for the Pope, even if they have placed themselves in a definitive position of being critical especially with regard to the liturgy, religious liberty and ecumenism. We saw many young people, many religious vocations, many “normal” Catholic families who frequent the Fraternity. Priests in their cassocks, while walking the streets of Paris or Rome, were stopped by people asking them for comfort and hope. 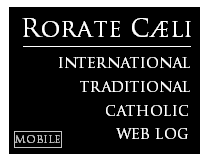 We are well-acquainted with the polymorphism of the contemporary Church in the world, which is to say that nowadays calling yourself Catholic is not the same as following the same doctrine; heterodoxy is greatly diffused and there are nuns, priests and theologians who openly contest or deny portions of Catholic doctrine. For this reason, we asked ourselves: how is it possible that there is room for everyone in the Church except these brothers and sisters who are Catholic in every way and are absolutely faithful to 20 of all the 21 councils which have taken place in the course of Catholic history? While we were writing the first book, news arrived about the revocation of the excommunications through Pope Benedict XVI’s historical decision. What remained at that point was the canonical regularization of the Fraternity. Pope Benedict held this reconciliation dearly and it has yet to be concretized. I maintain that Benedict’s pontificate was a historical opportunity for full reconciliation, and it was a real shame to let this train pass. I have always sustained that the FSSPX must do all that is possible for their canonical regularization, but I would add that Rome has to offer Monsignor Fellay and his faithful the guarantee of respect and freedom, above all in the celebration of the Vetus Ordo and in the doctrine that is normally taught within the Fraternity’s seminaries, the perennial one. The full support towards Pope Benedict XVI does not seem to be carried out now with Pope Francis. Are popes accepted or are they “chosen”? What does the papacy represent today? The fact that a pope is “liked” by people is completely irrelevant to the two-thousand-year logic of the Church: the pope is the Vicar of Christ on earth and he has to please Our Lord. This means that the exercise of his power is not absolute, but is subordinate to the teaching of Christ, which is found in the Catholic Church, in Her Tradition and fostered by the life of Grace through the Sacraments. Now, this means that the pope himself can be judged and criticized by the [ordinary] Catholic, on the condition that this happens in the perspective of love for the truth, and that as a criteria of reference, Tradition and the Magisterium are used. A pope contradicting a predecessor in matters of faith and morals has to, without question, be criticized. We must distrust both the worldly logic where the pope is judged by democratic criteria which satisfies the majority, and the temptation to “papolatry” according to which “the pope is always right.” Furthermore, for decades now we have become used to criticizing many popes from the past in a destructive manner, exhibiting scarce historiographic seriousness; well then, we don’t see why reigning popes or the most recent ones are spared in any way from any type of criticism. If Boniface VII or Pius V are judged why not also judge Paul VI or Francis? In the world of the sites (internet) and magazines on Tradition, of late, a frequent display of strong aggressiveness has been noted. Is it true? What are the causes? What do you think of this? The behavior-problems in some tradition-associated people or entities is serious and cannot be denied. A truth presented or proposed without charity is a truth betrayed. Christ is our way, truth and life and therefore we must always take our example from Him, Who was always steadfast in the truth and invincible in charity. I believe the world of Tradition is sometimes sharp and polemical for three reasons: the first, is a certain syndrome of isolation, which renders [them] suspicious and vindictive, and manifests itself through personality problems; the second, is the genuine scandal that certain directions in contemporary Catholicism stir up in those who know the doctrinal teaching of the popes and the Church prior to Vatican II; the third, for the lack of charity that official Catholicism has shown to these brothers, who are apostrophized with contempt as “traditionalists” or “Lefebvrians” forgetting that, anyway they are nearer the Church than the members of any other Christian confession ever could be or even any other religion. The official Catholic press does not even dedicate a line to this reality – which includes hundreds of priests and seminarians – and yet they might offer pages to thinkers that have nothing even vaguely Catholic about them. Commenting on the Vatican instruction with regard to the Franciscans of the Immaculate, you invoked conscientious objection for the religious as to the liturgical indications. In what way [then] must the religious obey their spiritual family? How do you place conscientious objection in the tradition of the Syllabus? The issue of the Franciscans of the Immaculate, is in my view very sad. It concerns provisions made by an external commissioner and decided upon by Rome in unusual haste and with equally unexplainable severity. Since I know this religious family very well, I find this decision to be completely unjustifiable and [so] along with other three scholars I presented a sort of appeal to the Vatican. In synthesis, I remind you, that the provisions “remove” the founder, and forbid the celebration of the Old Rite to all of the priests in the Congregation, [this] in manifest contradiction to what was established by Benedict XVI in his Motu Proprio, Summorum Pontificum. You are right: the resistance to an order from legitimate authority always poses problems for the Christian, even more so if he is a member of a religious family. Nonetheless, in this case there are some aspects clearly unacceptable, and I maintain that the priests of the Franciscans of the Immaculate should continue to celebrate the Mass in the Extraordinary Form of the Vetus Ordo, securing that bi-ritualism which I know was the normal practice for the Friars. I would add, in a Church shaken by thousands of problems and rebellions where glorious congregations are dying out for lack of vocations, it is not good to see the Franciscans of the Immaculate being hit like this as they instead, have abundant vocations all over the world. In your opinion, what are the most evident limits of the “conciliar” (or “liberal” if you wish) Catholic sensibility? What are its most obvious weaknesses? In my view, the fundamental problem is its relationship with the world, marked by an attitude of subjection and dependency, almost as if the Church must adapt Herself to the whims of men, when instead we know that it is man who needs to adapt to the will of Christ, the King of history and the universe. When Pius X harshly attacked Modernism, he wanted to ward off this mortal temptation to Catholicism: the changing of doctrine to go along with the spirit of the world. Given that humanity has been prey to the process of dissolution which began with the French Revolution (followed by modernity and post-modernity) the Church is more than ever called to resist that spirit of the world. Many choices made by the Church in the last 50 years are instead the symptom of giving in [to it]: the liturgical reform, which constructed a Mass for contemporary sensibilities by destroying a Rite in force for centuries, orienting everything towards the word, the assembly, participation, [while] mortifying the centrality of the Sacrifice; the insistence on the universal priesthood, which has devalued the ministerial priesthood, disheartening generations of priests and bringing on an unprecedented crisis in vocations; “sacred” architecture which built anti-liturgical monsters; the de facto abolition of the Four Last Things, when the theme of the salvation of souls (and the risk of eternal damnation) is the only supernatural subject matter which differentiates the Church from a philanthropic agency; and so forth. Believers are united on the essential and are divided on controversial issues. Everyone, however, is called to respect and accompany those who are burdened by suffering and the fatigues of life. How does one’s spiritual sensibilities change when suffering passes through the days with violence, as is happening to you? The first thing that shakes you up about sickness is that it hits us without any warning and at a time we do not decide. We are at the mercy of events, and we can do nothing but accept them. Grave illness obliges one to become aware that we are truly mortal; even if death is the most certain thing in the world, modern man tends to live as if he should never die. In sickness you understand for the first time that life on earth is but a breath, you recognize with bitterness that you have not made it that masterpiece of holiness God had wanted. You experience a profound nostalgia for the good that you could have done and for the bad that you could have avoided. You look at the Crucifix and you understand that this is the heart of the Faith; without sacrifice Catholicism wouldn’t exist. Then you thank God for having made you a Catholic, a “little ” Catholic, a sinner, but who has an attentive Mother in the Church. So, grave sickness is a time of grace, but often the vices and miseries that have accompanied us in life remain, or even increase [during it]. It is as if the agony has already begun, and there is a battle going on for the destiny of my soul, because nobody can be sure of their own salvation. On the other hand, this sickness has allowed me to discover a remarkable amount of people who love and pray for me; families who recite the rosary in the evening with their children for my recovery. I have no words to describe the beauty of this experience which is an anticipation of the love of God and eternity itself. The greatest suffering I experience is the idea of having to leave this world which I am so fond of and is so beautiful even if also so tragic; of having to leave many friends and relatives; but most of all, of having to leave my wife and children who are still at a tender age. Sometimes I imagine my home, my empty study, and the life that will continue there even if I am no longer present. It is a scene that hurts, but it is extremely realistic: it makes me realize what a useless servant I have been, and that all the books I have written, the conferences and articles, are nothing but straw. But my hope is in the mercy of the Lord, and in the fact that others will pick up part of my aspirations and battles and will continue on in “the ancient duel”.